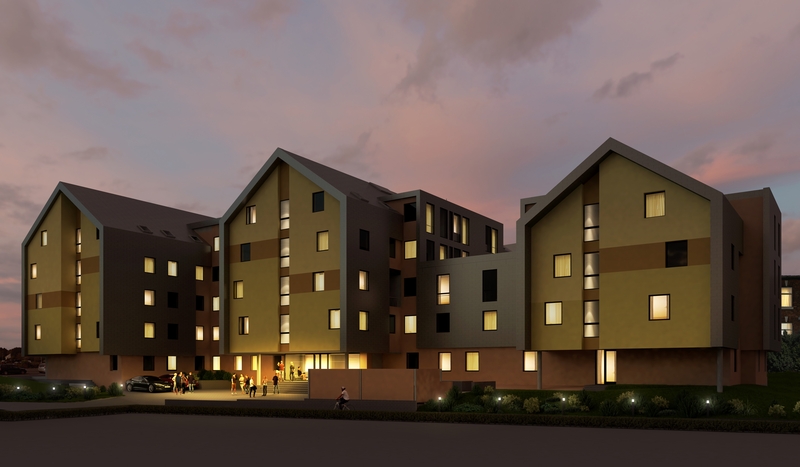 We would like to introduce Canterbury Hall, a stunning new build development in the lucrative market of student property. Featuring a beautiful roof-top garden and offering assured income for five years, this is an excellent, secure investment opportunity. Students now require bespoke, purpose-built accommodation which lies close to the educational hub. With ever-increasing numbers of undergraduates, purposebuilt student properties have become a mainstream global asset class which provides investors with a safe investment and minimal risk. With a fantastic location right next to the UCLan campus in the city of Preston, Canterbury Hall is the perfect solution for students looking for independent living in a student environment.